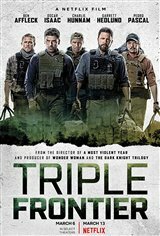 A group of five former Special Forces operatives reunite to plan a heist in a sparsely populated multi-border zone of South America. However, events don't go as planned and threaten to spiral out of control. Their loyalties are tested in an epic battle for survival.